Tired of the same old school furniture designs' Academia Furniture brings you ergonomic and eco-friendly activity tables, school seating, school desks and much more. Whether you need to furnish a high school classroom, computer lab or preschool, Academia School Furniture offers the modern styling you need to bring your learning space into the twenty-first century. All of Academia's models are designed for long-term use in the educational environment. 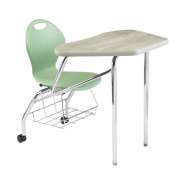 In fact, with 25-year and Limited Lifetime Warranties you are guaranteed to enjoy the benefits of this versatile and colorful school furniture for many years to come. The huge selection of styles and materials is sure to fit any budget or preference. 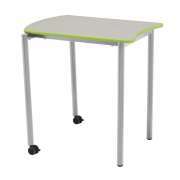 Classroom work spaces can be supplied by activity tables or school desks. 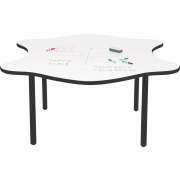 Activity tables are appropriate for children from preschool through elementary school. 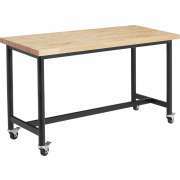 Academia school tables come in a number of sizes, styles and shapes. 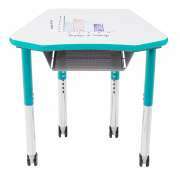 No matter what shape you choose, Educational Edge tables offer a great way to add a splash of color to a learning space. 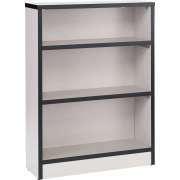 They will make any classroom more lively and inviting. 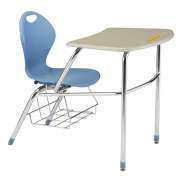 School desks aren't what they used to be. Although the classic four legged design with a book-box underneath the work surface is still available, Academia brings you a number of viable alternatives that are suited to the modern classroom. 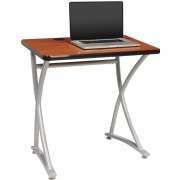 Their exclusive WoodStone desktops have the durability of hard plastic, yet they cost and weigh significantly less. For maximum strength and versatility, models are available with adjustable-height and U-braces for reinforcement. 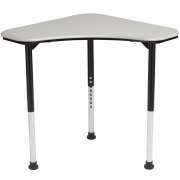 Student chair desks should be considered when purchasing classroom furniture. 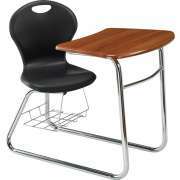 They come in the same durable materials as school desks, but with the added convenience of attached seating. When a classroom is full of combo desks, teachers can be sure that students won't lean back in their chairs, and there are always enough chairs to match desks. 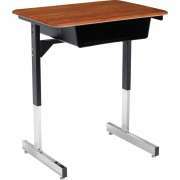 Combo desks also guarantee that chair and desk heights match up. For those who opt not to furnish a classroom with chair desks, school seating must be purchased so students have a place to sit in class. Academia offers some tough classic poly shell and hard plastic models as well as attractive new designs from the Inspiration Series. 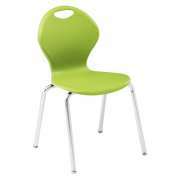 These sleek school chairs come in vibrant colors and feature 17 reinforcement ridges for a durable, flexible and supportive design. Even your youngest learners deserve to learn in an environment with appropriately-sized school furniture. 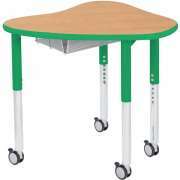 Academia activity tables and school chairs come in any height that you need, so you can have first-rate preschool furniture as well. When young learners have school chairs and activity tables that are just the right size, it is easier for them to develop proper posture and skills. While the classroom is where students spend the bulk of their time at school, there are a number of other rooms that also require appropriate furniture. Whether they are learning how to utilize technology for educational purposes or harness their musical talents, your pupils need furniture that supports their endeavors. With the right pieces, you can channel the hard work of children and young adults toward future successes. Computers are becoming increasingly important in the educational environment. 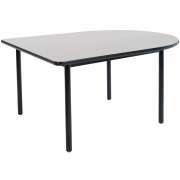 Some functional computer tables can help support technology in the classroom, or furnish a contemporary computer lab. In order to ensure that your setup promotes ergonomic positioning, some appropriate computer chairs are necessary as well. With the right computer furniture, students can learn how to type correctly and hone their online research skills. 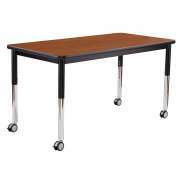 When furnishing a music room or band room, regular tables and chairs just won't cut it. 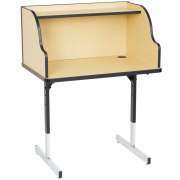 Music furniture is specially designed to help student musicians play in a healthy position so they will learn how to hold their instruments and breathe correctly from the beginning. Academia's musician chairs support students as they play, whether in practices or performances. Another room that requires special furniture is the science lab. Having appropriate lab furniture ensures the safety of students and teaches proper experimentation techniques. 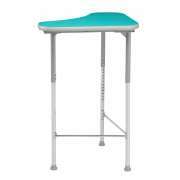 Academia offers a number of excellent lab stools that enable students to sit comfortably as they take notes or experiment at counter-height surfaces. Creating an environment that is conducive to education and growth begins with appropriate layouts for learning. In order to make sure that students are properly supported with the physical tools that are needed for success, you want to give them the best school furniture out there. 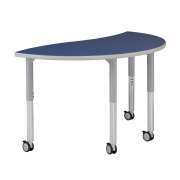 Academia school furniture provides the models you need to put students on the path to success as they gain critical knowledge that will be carried far into the future.